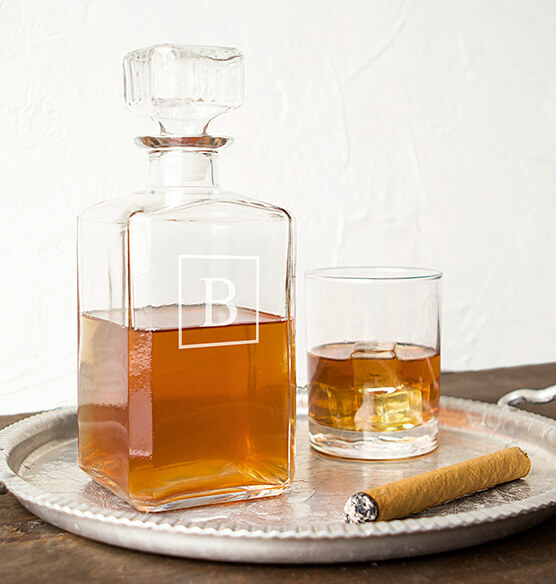 Personalized Glass Decanter 34 oz. 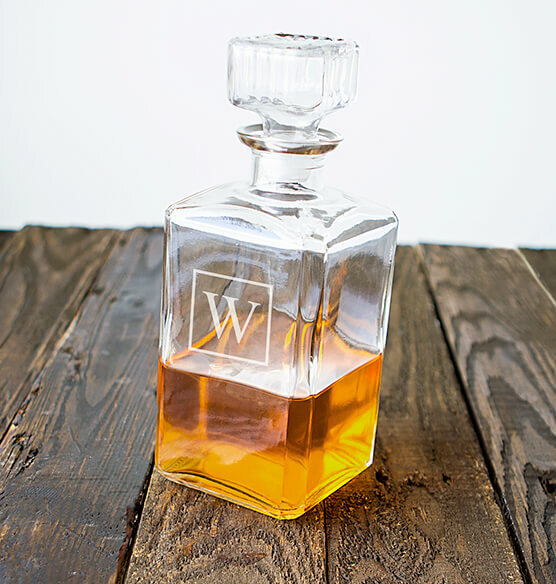 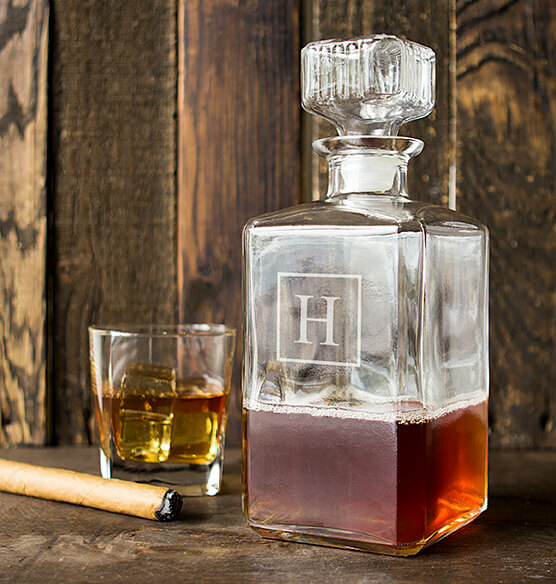 Warehouse your finest whiskey in this custom etched, Personalized Glass Decanter. 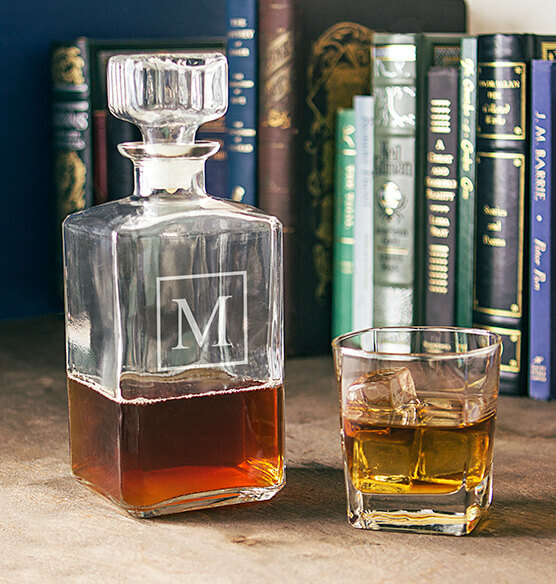 Featuring a beveled stopper , this personalized decanter is one barware essential every home can use. 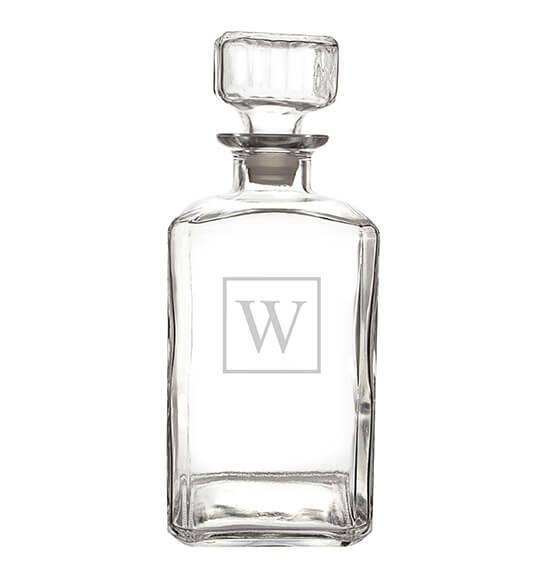 Please Note: With machine-crafted blown glass, expect minor bubbles and swirls that are inherent to the glass.